Use paytm promo code- ROBORETURNS to be eligible for this offer. This promo code applicable only 1 time per user. This paytm offer is valid only on recharge & bill payments. User can get maximum cashback of Rs 150. Successful users will be able to use code SUPERSTAR on booking tickets of the movie 2.0. Promocode 'SUPERSTAR' is valid on mini booking of two tickets. This offer is only valid for first time movie ticket buyers on Paytm. Paytm reserves the right to withdraw or change any terms and conditions of the offer without prior notice. Paytm Promo code For Travel- TRAVELPAY (Flat Rs 1200 Cashback on Travel Ticket Bookings). Paytm Promo code for UPI- LUCKYUPI (25th Lucky User Will Get 100% Cashback Every Day). Paytm offer- LAKHPATI (Win 1 Lakh Cashback on Recharge & Bill Payments). Paytm offer- NEWJIO (Get Rs 30 cashback and additional Rs 200 cashback). 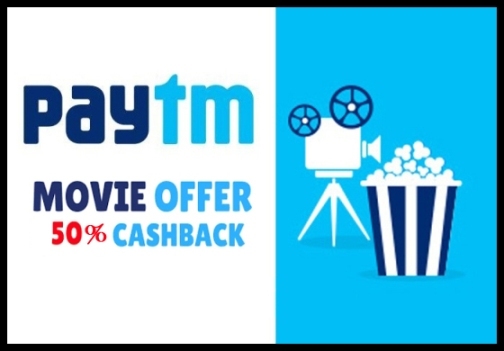 Paytm Offer- MONTHLY30 (Flat Rs 30 Cashback). Paytm offer- LUCKY200 (Lucky customers every hour will get 100% cashback). Paytm Jio Recharge Promo Code- PAYTMJIO (Get Instant Rs 20 Cashback).